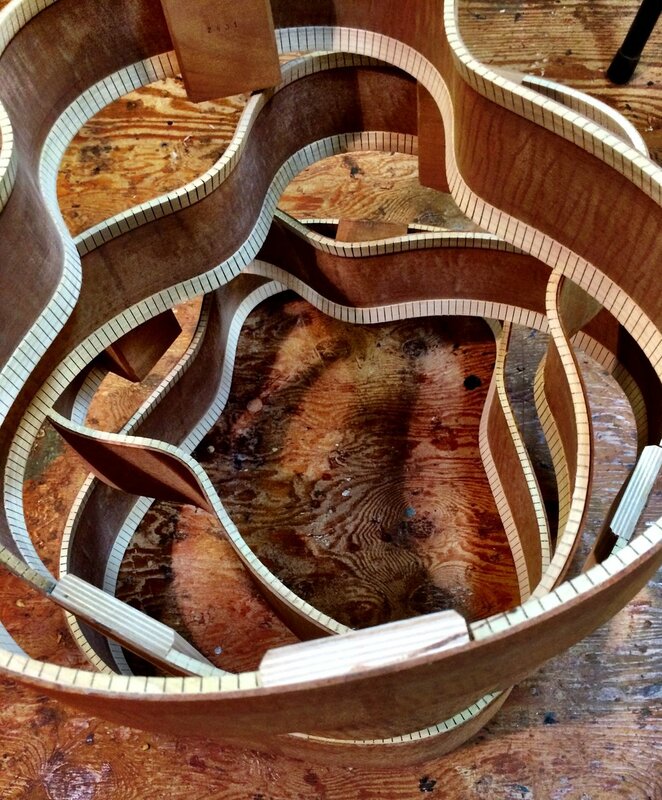 If we look back behind us—150 years—our story continues one of a great, guitar-making tradition. Step into the workshop of master builder Francisco Gonzales. It is some year near 1860 and he has just taken on a 12-year-old apprentice named Jose Ramirez, who turns out to be a young master of the trade. Ramirez rapidly excels in his craft and perfects his own technique, developing a means of efficiently producing high quality guitars. This is only the beginning of the great Ramirez guitar making dynasty. Years later, his son, Jose Ramirez II, is born, basically, holding a guitar in his arms. He is overwhelmed with his father's love of the instrument and takes this with him as he spends his youth touring South America with his guitar. When Ramirez II returns to Spain, he too learns to build and passes his knowledge, experience, innovations and love of the art on, to Marcello Barbero. Soon after WWII, Barbero accepts Edgar Moench from Germany as an apprentice. Moench eventually moves overseas to Canada, where he settles in Toronto. It's there that he meets and trains a young French Canadian man, Jean Larrivée, who becomes a seminal figure in the Canadian guitar building industry. It is now the late 1970's and Jean wants to build near where his wood comes from. He wishes to have a shop near the large Sitka spruce forests of BC, so he relocates to Victoria, where only a few years later, he meets David Iannone, who (lucky for David) is Jean's last traditional apprentice. It is 1985 and David is ready to design and build his own guitars. David Iannone circa 1983 apprenticing for Jean Larrivée. It is also in this year that his first child is born. 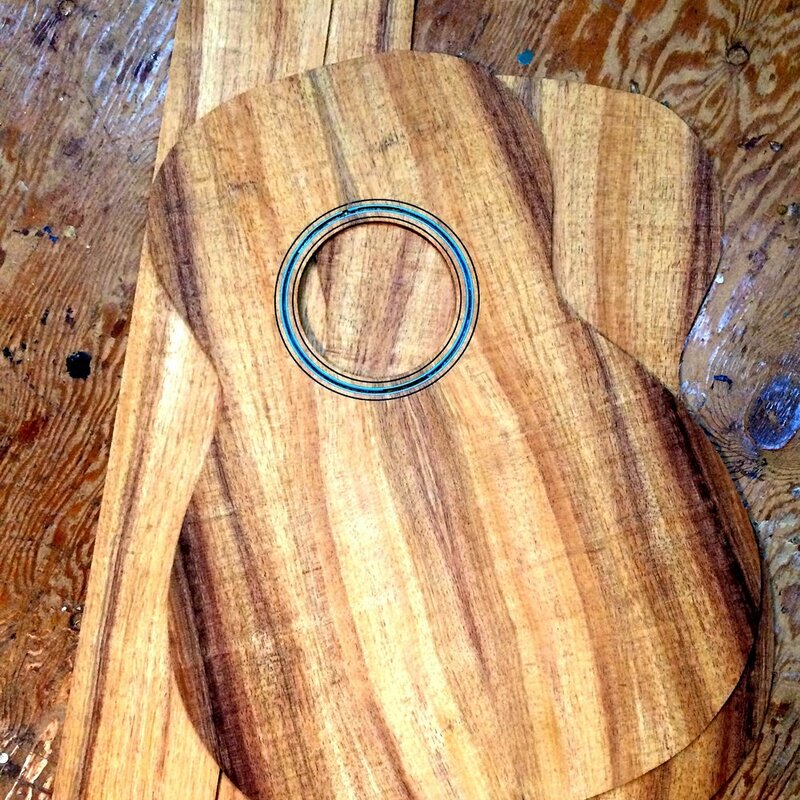 David's firstborn and the business' namesake clutching his own creation made out of a block of cedar for guitar tops. The young Morgan added tuners and nails himself to hold the strings down. David names his company after his first child, after the sleek beauty of the Morgan thoroughbred horse and in Welsh, Morgan means "work by the sea," true to the locale of the workshop. 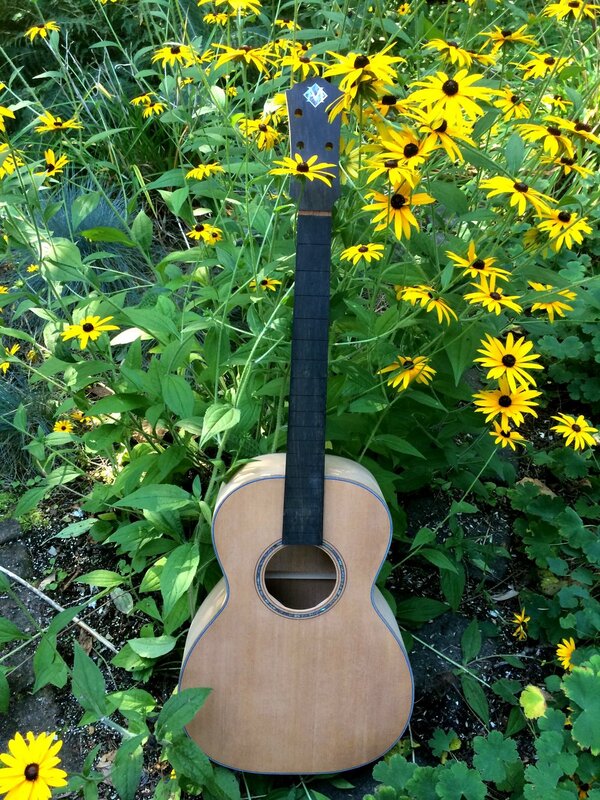 Attached to his North Vancouver home, at the foot of Mount Seymour, just walking distance to Burrard Inlet, David is humbled by the fact that he is able to create each guitar in his one person work shop which, he has built from the ground up since 1985. To keep the hours and costs down while sustaining impeccable craftsmanship, David has dedicated years to reinventing the design of his workshop, making the process extremely efficient. After three decades, he considers it a dance where no movement is wasted. Over the years he has had some company–three shop dogs and one free roaming budgie. In and out whenever they pleased, his children grew up watching him work while doing their homework on the table saw top and drawing on his shop walls. 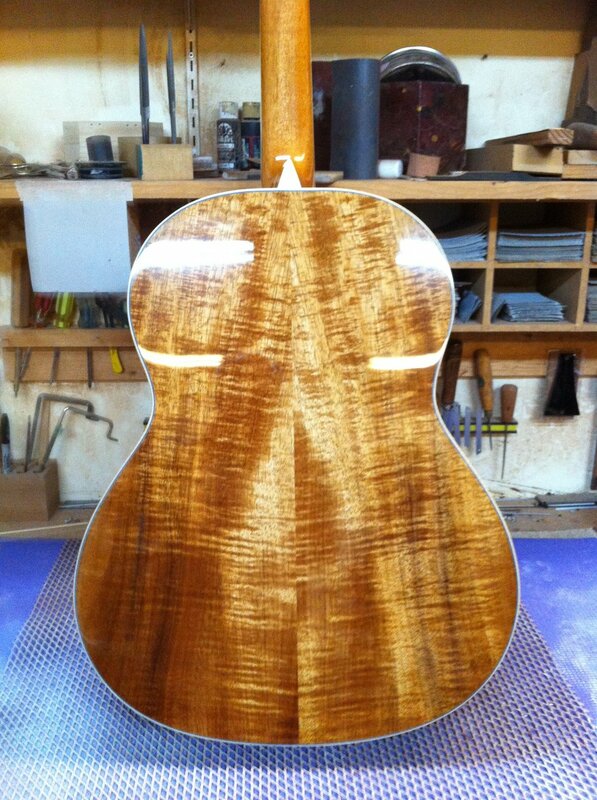 The wood that David sources for each guitar comes from all over the world. From wet sorting grounds in British Columbia to mills in India, Japan, Spain and from suppliers in California. Each piece of wood is unique. 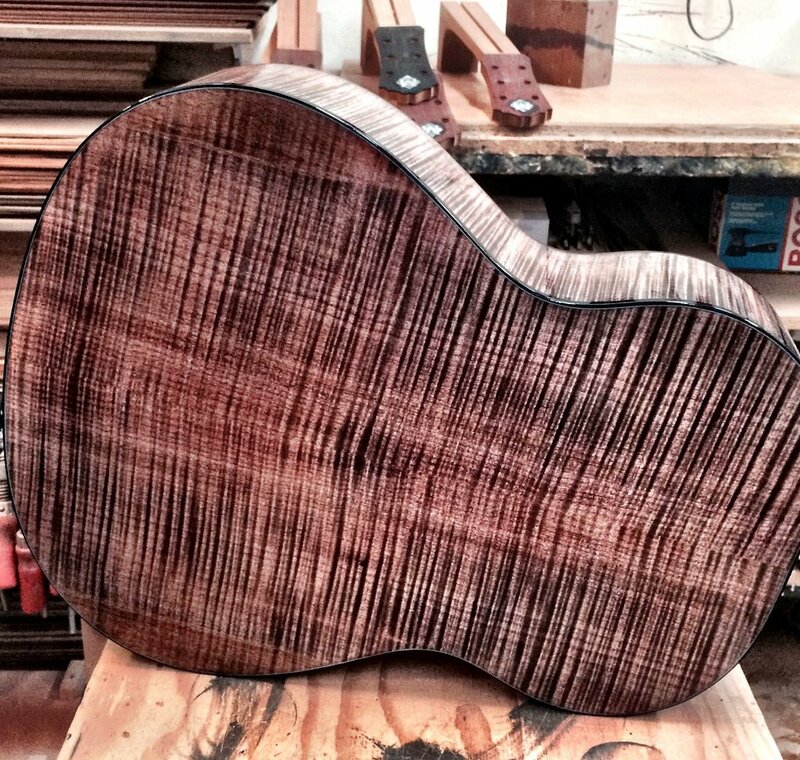 Each piece of wood is old and seasoned which, tells a wise story that comes out in the guitar's sound. 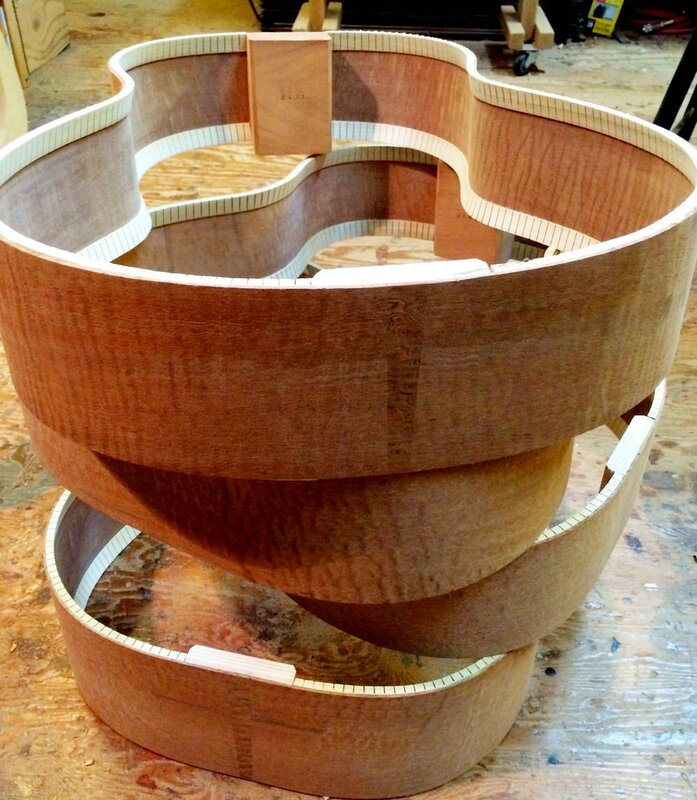 Morgan Guitars are built from carefully sourced wood purchased from suppliers that we personally know and trust. The wood is stored, cured and seasoned with all possible care. It's time to meet the guitars.